The Ssangyong Owners Club does not warrant any services. It also does not warrant its content. expressed or implied, are disclaimed (including but not limited to the disclaimer of any implied warranties or merchantability and fitness for a particular purpose.) The information and electronic files shown on this site by The Ssangyong Owners Club, may contain errors, omissions or other limitations. We assume no liability or responsibility whatever. participating publishers, authors, dealers and suppliers, administrators, moderators and members harmless from any liability, loss, claim and expense, including solicitors's fees and expenses, related to the use of its website. The Ssangyong Owners Club does not assume any liability for the products, services or content of other websites linked to its website. No links at The Ssangyong Owners Club are endorsements of any products, services or content at other websites. Visitors to The Ssangyong Owners Club agree to indemnify, defend and hold harmless The Ssangyong Owners Club and its affiliates, licensors, content and service providers, participating publishers, authors, dealers and suppliers harmless from any liability, loss, claim and expense, including attorney's fees and expenses, related to the links of its website. We agree to be bound by the laws applicable in the United Kingdom. The Ssangyong Owners Club, respects the privacy of people who visit our website. Because we gather information from our visitors, we know something about them even after they leave. Here is what you can expect from us regarding information we gather from you. 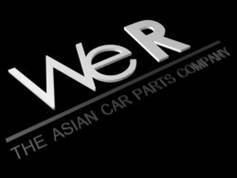 The Ssangyong Owners Club is the sole owner of the information collected on this site. We will not sell, share, or rent this information to others in ways different from what is disclosed in this statement. The Ssangyong Owners Club collects information from our users only on the forum. This is by registration and become member of the club and from the content of postings and messages made by the member. The information that we collect is: Member ID, Display Name, Email, Registration date, IP Address, Timezone, Last visit date, Last post date, Birthday, Opted in to mailing list, Member title, Signature, Interests, Location, How did you hear about the club, Anything Else, About Me, Type of Ssangyong / Daewoo you drive, Gearbox Type, Year of Vehicle, Engine Capacity, Last 6 digits of the VIN and Fuel. We use your information to give function of the purpose of our club and to improve our website and forum. Cookies. The Ssangyong Owners Club uses information for responding to requests, customizing services and generally improving communications with visitors. For example, we store certain types of information whenever you interact with us. This information is gathered through "cookies," which help us communicate with you when you visit our website again. The forum uses technical, functional and analytical "cookies" that do not infringe your privacy. A cookie is a small text file that is stored on your computer, tablet or smartphone when you first visit this website. We use this information to keep track of how you use the website, to compile reports on website activity. In addition, we use this information to improve the forum. We do not sell your information to others. The Ssangyong Owners Club does not sell personal information it gathers to other businesses or individuals. We are not responsible for others who use your information. The Ssangyong Owners Club does not take responsibility for information that others may gather about visitors through its website. For example, other individuals or businesses may gather information about you when you follow a hyperlink from our website to theirs. We are not responsible for those individuals or businesses. We keep your personal data for no longer than is necessary. What is necessary will depend on the circumstances of each data type. Changes of your information. If your personal details change, please help us to keep your information up to date by doing it yourself or by notifying us by email or personal message so we can assist you. If you are a member of the Club you can change your profile, signature, preferences, etc. yourself at any time by accessing the forum, (you will need to login) go to profile and/or settings. Right to erasure, also known as ‘the right to be forgotten’ this right provides you with the ability to ask for ending your membership and the deletion of your personal data. For that you have to do a request to the head administrator by email or personal message. The posts that you have made became property of us at the moment of posting on the forum, but they will be anonymised. Making a complaint. If you think your data has been misused or that we haven’t kept it secure, please contact the Head Administrator by email or personal message. He will investigate any concerns you may have. If you are unhappy with the response or if you need any advice you should contact the Information Commissioner’s Office (ICO). The telephone number for the ICO Helpline is 0303 123 1113 or you can also chat online with an advisor. The ICO can investigate your claim and take action against anyone who has misused personal data. You can also visit their website for information at https://ico.org.uk/concerns/.